Sleep Hypnosis in Los Angeles - Sleep Naturally! Sleep Hypnosis in Los Angeles - Sleep Naturally! Say good-bye to insomnia, and say hello to deep, relaxing, rejuvenating sleep… The kind that helps you get things done when you are awake! In a world where rest and relaxation can be hard to come by, sleep hypnosis gives you the ability to let go so that you can get your much needed zzz’s. To attain these benefits, your mind must make a positive mental shift. Sleep hypnosis is your perfect solution. 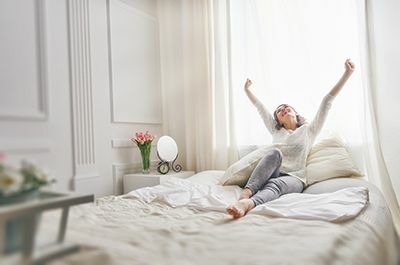 Sleep hypnosis can help you to uproot any leftover anxiety or worries that you may have faced during the day by effectively replacing them with words, ideas, and images that help you unwind and relax so that you easily enter into a peaceful slumber. You can stop worrying about whether you’re going to be able to sleep well tonight. With sleep hypnosis, you can consider that a thing of the past. Sleep hypnosis is effective and safe. It gives you control. So say good-bye to insomnia, and say hello to deep, relaxing, rejuvenating sleep…. The kind that helps you get things done when you are awake! You can stop worrying about whether you’re going to be able to sleep well tonight.